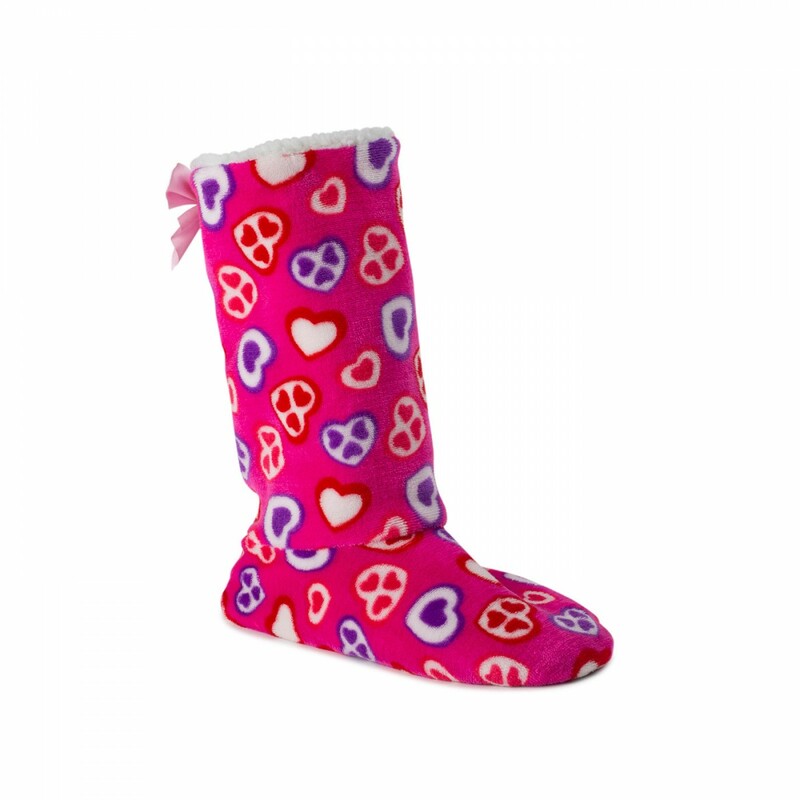 Lady Plush Boots with pink heart pattern and cosy plush. 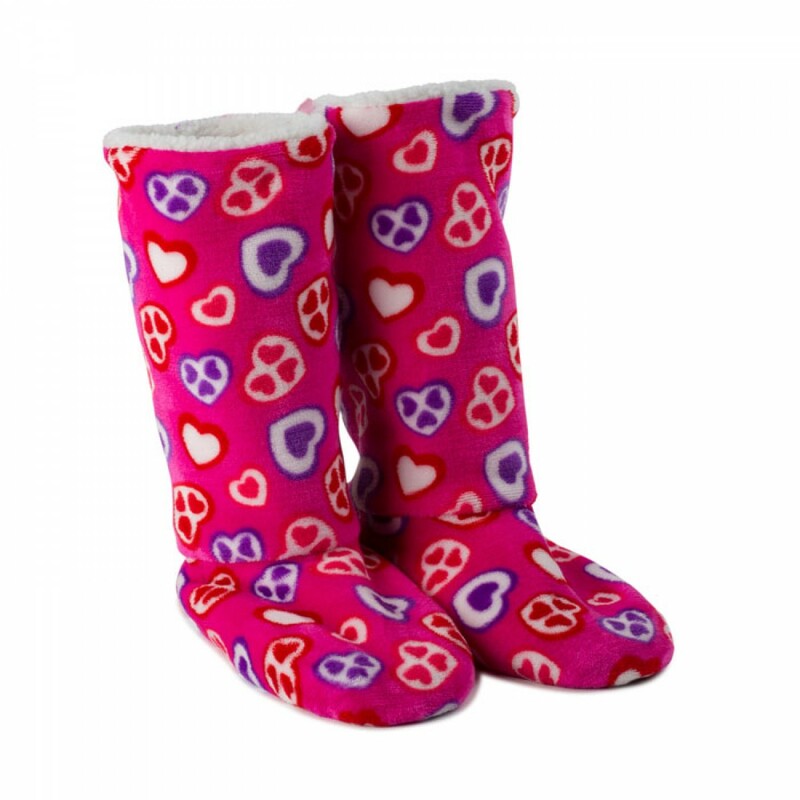 Pink heart pattern. 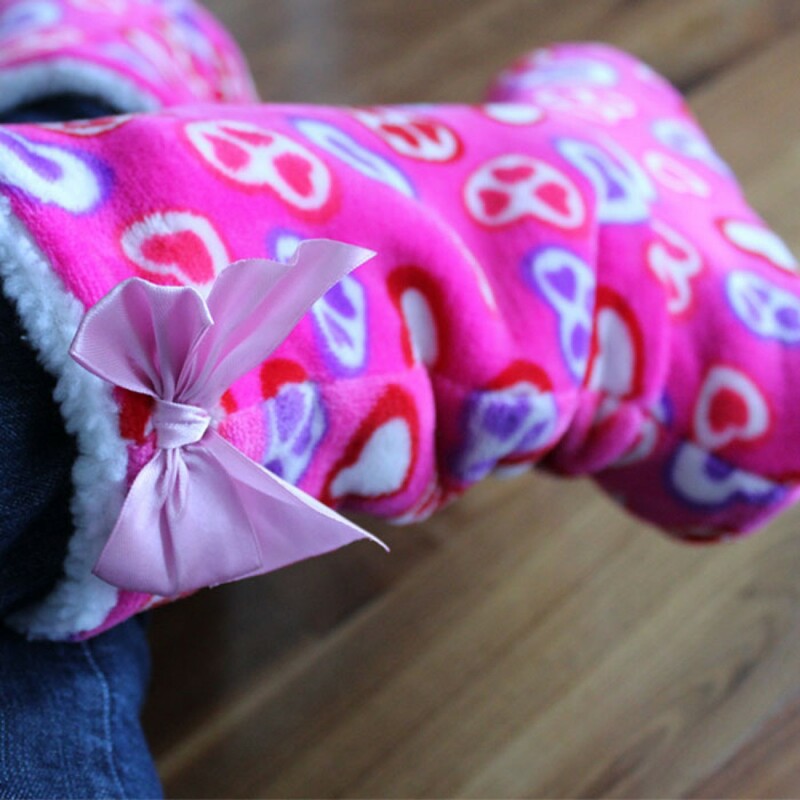 Buy directly online from the producer: funslippers.com !